This year is set to be a big one for regeneration in Neath Port Talbot, as some key development projects are being completed or take significant steps forward. Millions of pounds worth of investment in new schools and homes, the retail economy and public transport will start modernising the county borough as we move into 2018. Here is a selection of the regeneration projects that are set to help transform the county borough. The council’s Strategic School Improvement Programme is gathering pace and 2018 will see the opening of four new school builds: The second phase of Ysgol Gyfun Ystalyfera, Ysgol Cwm Brombil, Ysgol Bro Dur and Ysgol Carreg Hir. This new Welsh medium provision for pupils aged 11 to 16 is being built on the site of the former Sandfields Comprehensive and Traethmelyn Primary Schools. The £19.3m investment will provide Welsh medium secondary education in the south of the county borough. The school had a “topping out” ceremony in December after contractor Bouygues UK completed major structural work. The three schools, Ysgol Cwm Brombil, Ysgol Gymraeg Bro Dur and Ysgol Carreg Hir are all expected to open in autumn 2018. A number of projects which are part of the town’s Vibrant and Viable Places regeneration programme are underway and due for completion this year. The Programme will see over £35m invested in and around the town centre, part funded by the Welsh Government. The Transport Hub will not replace Port Talbot’s existing bus station but will see taxis, buses, cycle facilities and a new pedestrian concourse all based together opposite the town’s railway station to provide better access to public transport in the town. The project has been funded by the Welsh Government through both its Local Transport Fund and Vibrant & Viable Places funding, which has been matched by EU funds to complete the project. Bus services are up and running from the new hub, with other facilities following on in the coming months. Following the demolition of the former Police Station in Port Talbot construction on 30 new town centre apartments and three commercial units is underway. In the heart of Port Talbot town centre and in close proximity to the new Integrated Transport Hub, this site is being redeveloped by Pobl Group and due for completion in October 2018. Work is also progressing well on transforming the empty Aberafan House building, which overlooks the River Afan in the centre of Port Talbot, into a £4.7m new apartment scheme. The landmark development will also see the improvement of the immediate surroundings, including upgraded lighting, cycle racks for residents and benches and street furniture along the riverside walk to create a safer and more welcoming space for both residents and the public. Significant progress has been made internally, with the first floor nearing completion. The project is well on track to being completed by summer 2018. The scheme is being delivered by Hacer Developments and Pobl Group. The former Glan Afan School site in Port Talbot is being redeveloped in readiness for new homes by Coastal Housing Group and contractors Jehu are making excellent progress. In Neath, a number of developments in and around the town centre will also get underway this year with the town playing a key role as a strategic hub in the delivery of the welsh government’s ‘our valleys, our future’ plan. The spring of 2018 will see more work on the ongoing redevelopment of Neath’s town centre with work starting on the building of five to six retail units with 12 apartments on the first and second floors all sited at the rear of the service yard of Neath’s Boots store. The development will be delivered by Coastal Housing and will involve Water Street and Orchard Street being widened to improve pedestrian links to Neath’s Gwyn Hall, Victoria Gardens and the Bus Station. 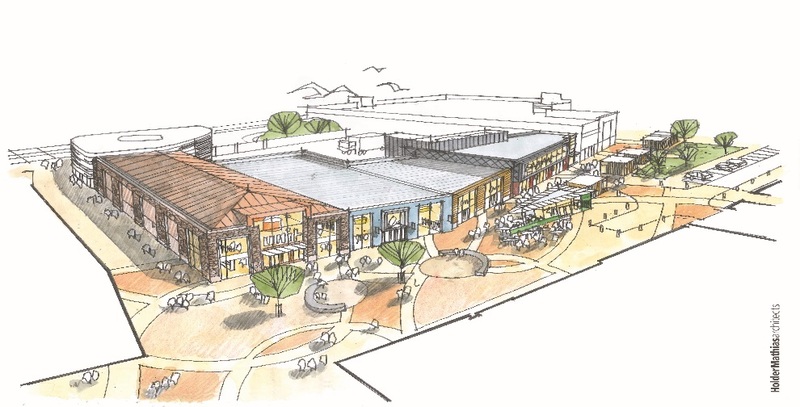 And in the autumn of 2018, work is due to begin on an even more ambitious development in the centre of Neath – a new shopping complex which will involve up to eight medium to larger retail units on the site of Neath town centre’s old multi-storey car park. The aim of the new retail centre will be to provide suitable space for high street names to complement those already in Neath like Marks and Spencer, New Look, Clarks and Next. Neath is also marching firmly into the future by creating the UK’s first ‘positive energy’ affordable housing development, ‘Homes as Power Stations’. The development is a partnership between Neath Port Talbot Council, housing association Pobl and Baglan Energy Park based SPECIFIC, a national Innovation and Knowledge Centre led by Swansea University with strategic industrial partners including Tata Steel. The innovative new homes feature solar roofs, shared battery storage and the potential for electric vehicle charging. They will be built on a site close to Neath Town Centre and work is estimated to start in the spring of 2018. Alongside the ‘Homes as Power Station’, other proposals for Neath include the development of an integrated transport hub, similar to the one just completed at Port Talbot Parkway station. Work is due to get underway to improve parking provision at Waterfall Country, Pontneddfechan; a hugely popular location for visitors to Neath Port Talbot and the neighbouring Brecon Beacons National Park. To alleviate parking issues within the local community, Neath Port Talbot Council has secured funding via Visit Wales’ Tourism Amenity Investment Scheme to create 43 additional off-road car parking spaces at the entrance to the village. Work is due to begin on site within the next few weeks with the development being scheduled to avoid disruption during peak visitor seasons. This project has received funding through the Welsh Government Rural Communities - Rural Development Programme 2014-2020, which is funded by the European Agricultural Fund for Rural Development and the Welsh Government. Match funding for this project has been provided by Neath Port Talbot Council and Brecon Beacons National Park. The project is due for completion before Easter 2018. The newly created car parking spaces will be free for visitors to use and will also support visits to local businesses within the village. Councillor Annette Wingrave, Cabinet Member for Regeneration and Sustainable Development said: “It’s fantastic to see all the regeneration projects happening in Neath Port Talbot. This demonstrates the commitment of the Council to build a better future for our county borough. We will continue to work with our partners to make Neath Port Talbot a place that is better connected, better for business and a better place to live”.